India went into the Champions Trophy final against arch-rival Pakistan as favourites, many believing they had the all-round game to account for their neighbours, who appeared weaker in the batting department. It was expected to be a match of India’s batting power versus Pakistan’s bowling skill, and it might have turned out that way had India’s bowling not failed so miserably. Virat Kohli won the toss and decided to bowl first on a flat pitch at The Oval, believing his side capable of chasing any score. He was well within his rights to back his side in a chase, as they had defeated South Africa and Bangladesh after bowling first, but were unable to defend 321 against Sri Lanka. However, in their group encounter against Pakistan they had won by batting first, posting a strong total, and putting Pakistan’s suspect batting line-up under the pump. Instead, the Indian skipper backed his team’s ability to restrict Pakistan and then chase a moderate total under pressure. Unfortunately for India, thanks to a lacklustre bowling display that moderate total became a large one and they never recovered. The Champions Trophy final had shades of India’s disastrous 2003 World Cup final about it. Back then it was Sourav Ganguly who decided to bowl first, the defensive option, and it backfired spectacularly with Australia posting a mammoth 359/2. Now Pakistan’s batting line-up is nowhere near as destructive as that all-conquering Australian side, but they still managed to take full advantage of some very poor Indian bowling to compile an extremely impressive 338/4. Just as it started so badly for India in Johannesburg in 2003, it did so again on a sunny Sunday afternoon in south London. This time the culprit was Jasprit Bumrah, the Indian quick’s no ball in the fourth over gave swashbuckling Pakistan opener Fakhar Zaman a second chance, one he made the most of by posting his maiden ODI century and finishing on 114 off just 106 balls. Bumrah’s costly error got India’s day off to a bad start, and it never improved. Only Bhuvneshwar Kumar was able to defy the trend of the innings to finish with impressive figures of 10 overs, 1 for 44 and establish himself as India’s leading ODI seamer. Kumar received some support from all-rounder Hardik Pandya, who toiled hard and used the short ball effectively to finish with 1/53 from his 10 overs but there is still a long way to go for Pandya to become a consistent bowler in ODI cricket, and one the captain can safely turn to for 10 solid overs. It can be argued whether bowling first was a defensive move from Kohli, but there is no doubt off-spinner Ravichandran Ashwin adopted a defensive mindset and negative approach from the minute he was called to the bowling crease. At no stage did Ashwin look to give the ball some air and deceive the batsmen in flight. 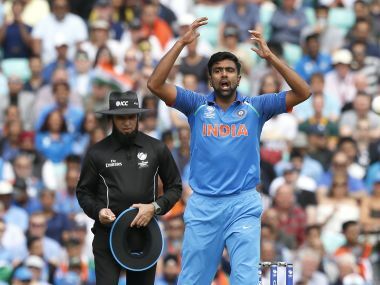 There might not have been much help from the surface, but Ashwin’s lack of intent to take wickets was mind-boggling, especially after Bumrah had been so profligate in his opening spell, forcing Kohli to turn to his off-spinner so early in the match. Instead, Ashwin resorted to a flat trajectory and leg stump line which allowed Azhar Ali and Fakhar to milk him with ease while still finding the boundary without too much trouble, thanks to his lack of control. In the end, Ashwin finished wicketless after 10 overs and conceded 70 runs in a listless display. Moreover, performances like this will do nothing to quash his reputation of being a poor bowler when the pitch is not turning. 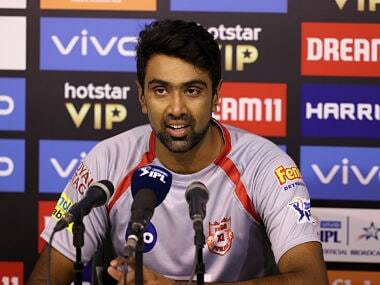 Sunday’s inept performance ended Ashwin's poor tournament in which he only took one wicket at an average of 167. Ashwin’s spin partner Ravindra Jadeja fared no better in the final with his eight wicketless overs costing 67 runs. The left arm spinner also struggled during the tournament taking only four wickets at an average of 62.25. Jadeja, like Ashwin, was guilty of bowling defensively and without any attacking intent as he had done right throughout the Champions Trophy campaign and this made it easy for Pakistan to keep the run-rate ticking along without much fear of losing wickets. Both spinners are better Test bowlers than ODI bowlers and are guilty of retreating into their shells in the shorter format, and it is time India looked at other spin bowling options in 50-over cricket. Reputation can only get you so far, and Jadeja hasn’t taken three wickets or more in an ODI for over 40 matches now which should be an alarming statistic for the Indian think-tank. Does he warrant selection purely on his brilliance in the field? No matter how good India’s batting might be, the pressure of chasing such a huge total in a tournament final was always going to be too much, and once Mohammad Amir accounted for the top order, it was game, set and match. Pakistan were buoyed by runs on the board, but their bowlers' intent and attacking bowling dismantled their Indian counterparts. With two years to go for the 2019 World Cup, India have time to sort their bowling out. They know they have a fantastic seamer in Bhuvneshwar, and Bumrah is usually more reliable than his performance on Sunday showed, but it is time they look past the big reputations of Ashwin and Jadeja and find themselves some spin bowlers, who can take regular wickets in one-day cricket.